Pencil not included. Sorry, no international shipping. 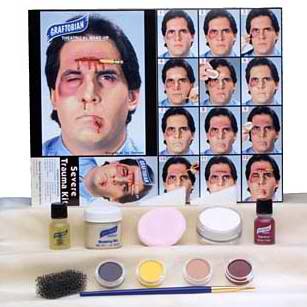 Want Even More Trauma Simulation Makeup? Check out our Deluxe Severe Trauma Kit. For a really complete trauma kit for EMS/moulage training, take a look at our EMS Trauma Simulation Training Kit. It’s great for your haunted house or horror theme shows, too.